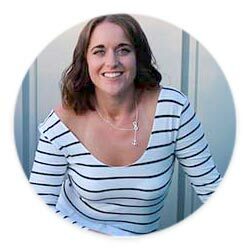 The ketogenic diet has been used extensively for reasons such as treating neurological disorders like epilepsy and improving glycemic control for those with diabetes. 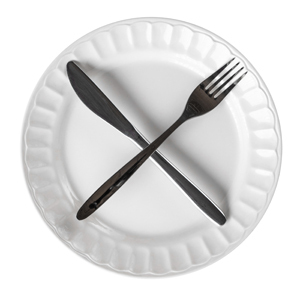 Over the years, other applications and uses for the ketogenic diet have been explored. One of those applications is looking at how ketosis can be used for performance. Within the nutrition and medical community, there is a long-standing belief that carbohydrates must be the main fuel for physical performance. The rationale behind this thinking stems from studies carried out in the 1960s. These studies discovered that muscle glycogen depletion was associated with fatigue (1, 2). Since a high carbohydrate diet is known to maintain muscle glycogen, it was set that all athletes should therefore eat this way. This finding lead to years of research, textbooks and position statements detailing the importance of a high carbohydrate intake before, during and after exercise to maximise performance and recovery. But what happens if there is another way in which the body can be fuelled for optimal performance? Around the time that scientists were looking at the effects of carbohydrates on glycogen stores, other research was being carried out on the effects that starvation had within the body. The research sought to understand the energy requirements of adult humans and how fuel is used in different tissues. The general consensus is that the brain needs around 125g of glucose daily to meet its energy requirements (3). However, during periods of prolonged starvation where glycogen stores are depleted and the body is not receiving carbohydrate sources from the diet, it undergoes a metabolic shift. This metabolic shift allows the brain to extract ketone bodies (acetoacetate and β-hydroxybutyrate) from the blood and so sparing the metabolism of glucose for tissues and organs that it is essential for (4). What this insight shows us is that the brain can not only function, but thrive whilst using ketone bodies for fuel. The metabolism of ketone bodies rather than glucose, also allows the sparing of muscle mass within the body (4). This early insight from these pioneering studies has helped the understanding that the body can in fact thrive on fuels that are not just that of carbohydrates. Endurance performance generally refers to an activity or sport where key muscles are exercised at submaximal intensity for prolonged periods of time. Good cardiovascular and muscle endurance is therefore required to sustain these types of sports. Classical long-term endurance sports include distance running, cycling and swimming where they require a constant, sustained level of activity. Other activities that still require endurance performance but are more based on strength-speed-endurance are sports such as basketball, sprinting and high intensity interval training (HIIT). Similar metabolic adaptations that can also produce ketone bodies for fuel is that of a low carbohydrate or ketogenic diet when carbohydrates are kept low (<10% of total energy), protein is at a moderate level and dietary fat is emphasised. Over the last decade, the safety and efficacy of the ketogenic diet and ketone metabolism, has been demonstrated in a number of therapeutic areas (5 ,6). Beyond these therapeutic applications, the use of a low-carb, high-fat diet in endurance athletes was first studied almost three decades ago (7). Five well-trained endurance cyclists were placed on a ketogenic diet for 4 weeks (83% fat, 15% protein and <3% carbs). Within the first week, the cyclists reported a modest decline in their energy levels on training rides. However, by the end of the four weeks, the cyclists riding times didn’t change significantly from those they achieved when they were eating a high-carbohydrate diet (147 minutes vs 151 minutes). Since this time, there have been a handful of other studies that have examined the use of the ketogenic diet in athletes, all with varying results (8, 9, 10). Whilst one study was able to demonstrate improvements in performance (11), another showed that certain aspects such as being able to undertake high intense bouts of exercise, were reduced (12). Although many of the studies do appear to show conflicting results, all of them do report an increase in overall fat oxidation (meaning fat burning). This means that the body was able to burn more fat for energy than that of carbohydrates. In a normal individual following a high-carbohydrate diet, they will likely burn fat at a rate of 0.5 grams of fat per minute. Whereas some of the studies mentioned show that fat burning can reach 1.5 grams of fat per minute. One of the main reasons for the discrepancy in findings is believed to be due to the lack of time to allow for full fat adaptation to occur. In most of the studies, subjects will generally report a lag in performance over the first 2 weeks of following a ketogenic diet. When we look at the studies that did demonstrate a negative effect on performance, we can see that many of them were only carried out for a short duration, some as short as 5 days (13, 14). Although some of the studies have carried out the intervention for a slightly longer duration e.g. 3 weeks (15), it has been shown that adaptation to a ketogenic diet can take upwards of 6-8 weeks (16); with some authors suggesting that a chronic adaptation time of 6-12months is needed (17). This means that the studies showing the negative effects, may not have allowed enough time for the fat adaptation process to fully occur. A recent study known as FASTER (fat adapted substrate use in trained elite runners) was designed to address this particular question (18). They looked to compare the metabolic differences between competitive ultra-marathoners and ironman distance triathletes consuming either a habitual low carbohydrate or high carbohydrate diet. The major key to this study was each of the participants had to be following their type of diet for a minimum of 6 months. On analysis most of the participants had been following their way of eating for an average of 20 months. The results showed that peak fat oxidation was on average 2-3 times higher in the low carbohydrate group compared to the high carbohydrate group. More interestingly there was a similar pattern of muscle glycogen depletion and repletion showing the ability of the low-carb group to maintain ‘normal’ glycogen levels in the context of limited carbohydrates. Athletes also performed the same in both groups with no obvious lack in performance being reported. This study begins to highlight the importance of the context and use of the ketogenic diet in endurance performance. 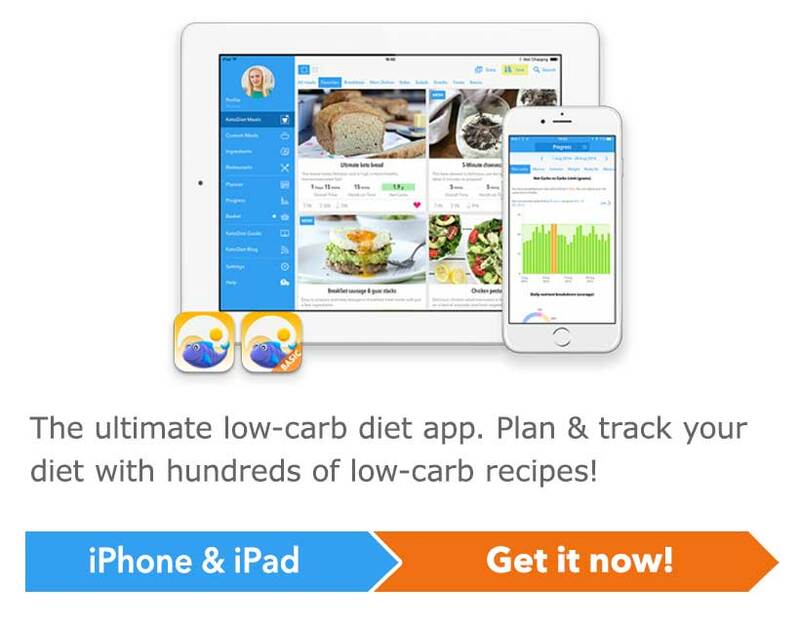 It would appear from this, that ensuring you are well adapted to the diet (i.e. over 6 months) could be one of the main factors in ensuring optimal performance. As mentioned above the idea of having a high carbohydrate diet is believed to be one of the only ways to ensure optimal athletic performance in endurance sports. However, as highlighted in the FASTER study, those individuals who train their body with a ketogenic diet, removes the need to have to &apos;carb-up&apos; before an event. The old paradox of &apos;carb-loading&apos; is a strategy that would see endurance athletes eating a large volume of carbohydrates around 2-3 days before a major event. Although overall those following a ketogenic diet do not need to nor should they follow a carb-loading diet, sports involving strength-speed-endurance (such as sprinting or HIIT) sometimes can need quick access to muscle glycogen. For those individuals who are participating in high intensity endurance sports such as HIIT training, then having a slightly higher carb intake before these events may be of benefit. One thing to note here is that the source or quality of those carbohydrates still matter. 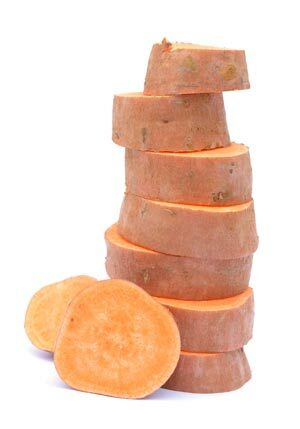 It would therefore be recommended to still choose unprocessed, low glycemic carbohydrates such as sweet potatoes or root vegetables. Another area that has been addressed as causing issues with performance in the first few weeks of implementing a ketogenic diet, is that of electrolyte levels and electrolyte supplementation. One of the well documented side effects of the low carbohydrate/ketogenic diet is that of keto flu. This occurs due to an electrolyte imbalance between potassium and sodium. Another mineral that can become depleted, particularly within the first few weeks of a low carbohydrate diet is that of magnesium. 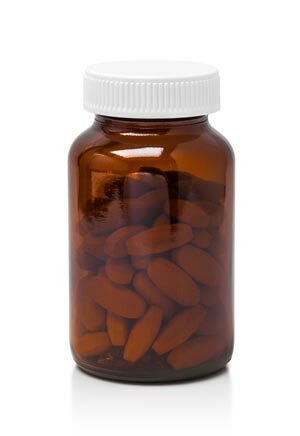 A lack of magnesium can cause excessive muscle contractions resulting in muscle cramping and pain which can become exacerbated following exercise. Maintaining optimal potassium and sodium levels in the context of endurance sports allows subjects to effectively maintain their circulating reserves (i.e. allowing vasodilation of arteries during submaximal exercise) and effective nitrogen balance with functional tissue preservation (16). A quick and easy way to help restore electrolyte imbalance is through drinking an isotonic sports drink. Be sure to avoid any shop bought sports drinks and make your own natural option. The question around how much protein you should have on a ketogenic diet can vary depending on your reasoning for following the diet. In endurance performance, the amount of protein ingested (either too much or too little), can greatly impact on performance. For physical performance and the effective preservation of lean body mass, studies have noted that around 1.2-1.7g/kg of lean body mass daily is needed (16). 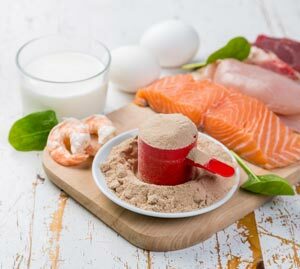 This level of protein can seem much higher in relation to other types of ketogenic diets but for physical performance, the need for protein is higher and a low intake can negatively affect the athletes muscle mass (19). In one study, athletes who were given a protein intake of 1g/kg/day experienced significant reductions in their VO2 max over 3 months on a ketogenic diet, whereas those given 1.5g/kg/day maintained VO2 max (20). Allow for full fat adaptation to occur – if you are going to use this diet to help enhance your performance, make sure that you begin to train your body on it for a minimum of 6 months before engaging in any type of competition. Do not start this diet <2 weeks before any big event. 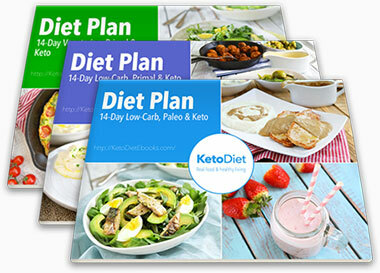 Establish your optimal protein level – all forms of ketogenic diets are not the same, especially around protein intake. Make sure that you do not eat below 1-1.2g/kg of protein per day. Establishing a ketogenic diet that is right for you, as always, is the most important thing. Following a targeted ketogenic or cyclic ketogenic diet may indeed be the better options for you. 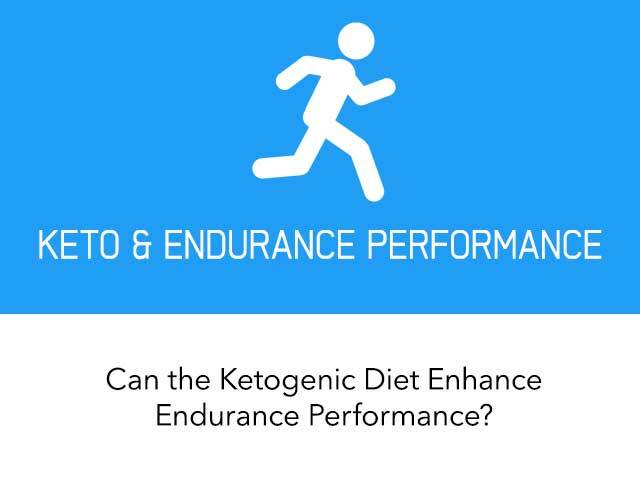 Whilst the ketogenic diet for endurance performance is showing promising results, there is still a lot of research and understanding in to why and how this works that is needed. More studies need to be carried out in both trained and untrained individuals to know exactly how to employ this dietary strategy in endurance performance. Likewise, a lot of the data presented here is for use in sports that are based around endurance, meaning sports that require a lot of aerobic capacity. This means that these results may not be reproducible to sports that are more dynamic or fast-paced which normally rely on anaerobic function.